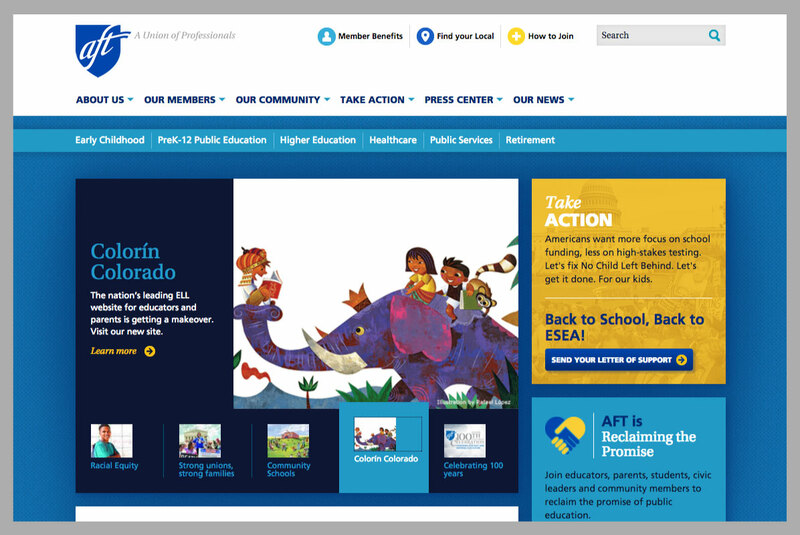 AFT came to us looking for a site that would better reflect their personality and commitment to education and better engage and mobilize their members to take action on issues they care about. We lead them through an extensive discovery and planning process to surface their messaging, design direction, high level goals, and granular, technical objectives, then built their beautiful new site with complex functionality and simple administration. 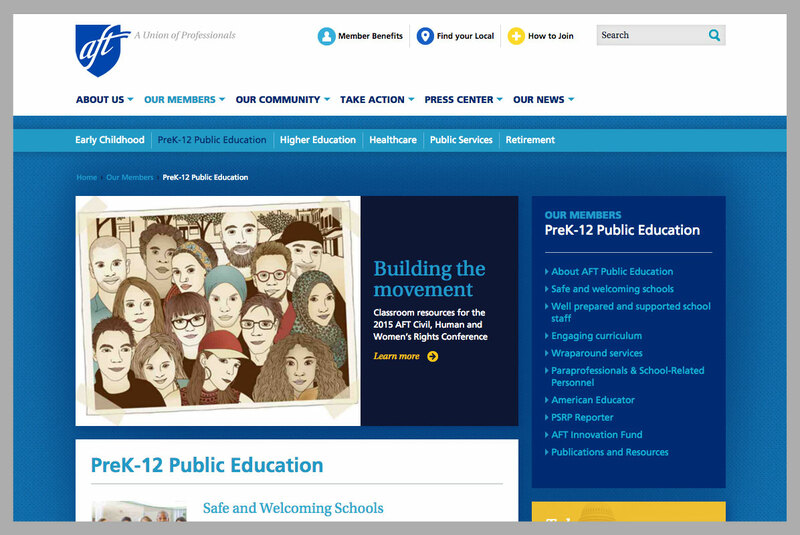 Their new site features improved versions of the most popular parts of their old site, like a better resource center on member benefits, a better search to find locals, and a refined system for sharing articles from their publications. We also added new functionality, like more social media integration, more dynamic content, better content deployment and moderation workflows, and news and RSS feeds. We also implemented a cleaner homepage and more prominent images, and we integrated Salsa for their newsletter and campaign pages. 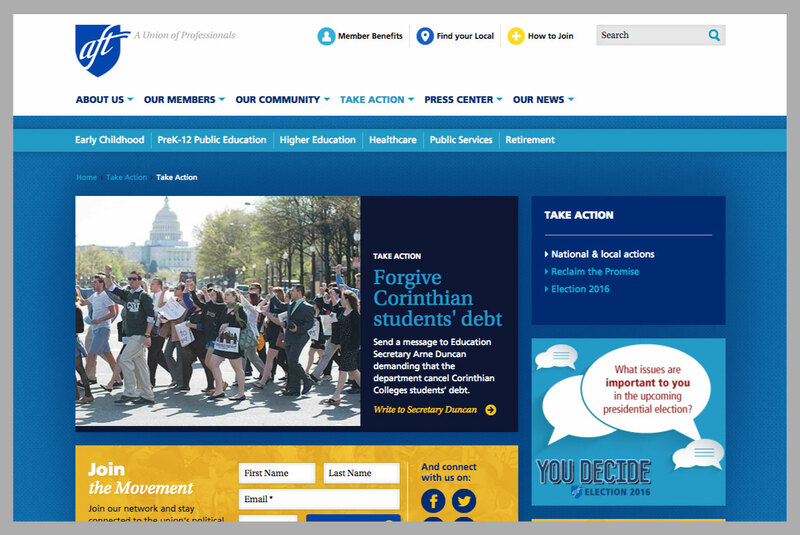 The new AFT.org reflects their diverse membership and solutions-oriented focus, improving the best of their old site and adding much needed new design and features.